A temple situated on the shores of Astamudi Lake with Lord Sree Krishna as the principal deity is the Asramam Sree Krishna Swamy Temple in Kollam. The annual Vishu festival of this temple is celebrated in the Malayalam months of Meenam and Medam (April). 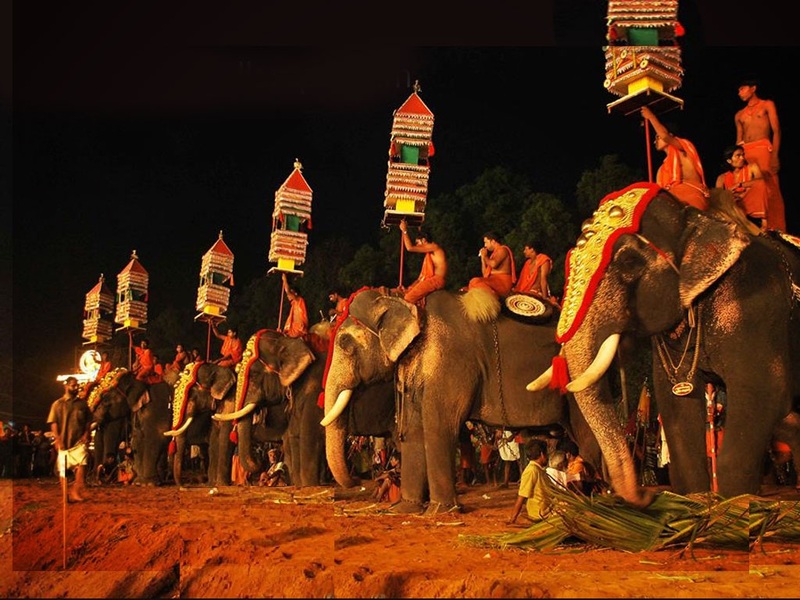 The Kollam Pooram is the major highlight in connection with the annual Vishu festival and will be held at the Asramam Maidan on the last day. 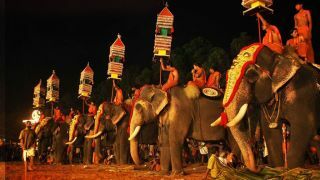 Rituals preceding the pooram event on the day include the cherupooram ezhunallathu from 14 temples, ana neerattu (bathing the elephants) anayoottu (feast for the elephants) and poora sadya. As part of the Pooram, Kudamattam ritual and performances of the traditional orchestra (melam) are all conducted. During the festival days, the temple premises will be the venue for the performances of various art forms like Kathakali and Koothu. Ashtami Rohini, the festival which celebrated the birthday of Lord Krishna, is also celebrated here on the Rohini asterism in the Malayalam month of Chingam. In 2019 it is on August 23rd.